Last Ludum Dare I got a taste of 3D. 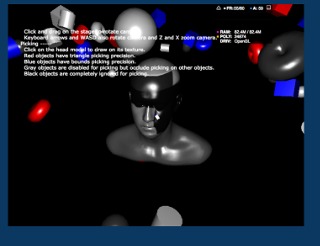 Since that time I was looking into other libraries then ThreeJS (html5 only) which I used first. I couldn't stand that there was no cross-platform solution. I've finally found one that does half what I want : Away3D. With a little help from Justin I was able to draw stuff on all the publication methods of Stencyl. Since I was using the 3.5 beta version, and didn't want to upgrade my old macbook, I was only able to test using the simulator and didn't have the opportunity to do a device test. 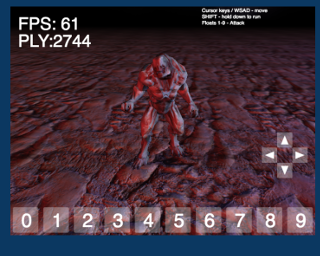 So : iOS Simulator, Android, Linux, Mac, Windows, Flash and HTML5 all work just fine. 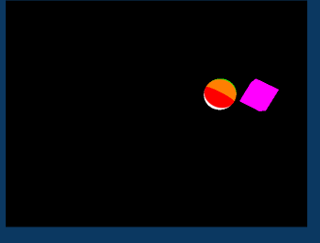 Unfortunately there is no HaXe port of the AwayPhysics library, so for now I'm trying to do stuff with simple physics/collision bounding boxes. I've started a new journal to investigate how to make an extension out of this. The screenshots look great. An extension for 3D cross-platform will be fantastic. Despite its limitations, let's hope it was viable enough to make commercial games. Nice screenshots so far! Please do keep us posted; this looks really interesting. 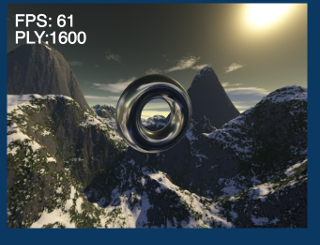 I'd be particularly interested in learning how you integrated the Away3D library into Stencyl. This works with haxelib run lime but with an older haxe. Loads of 'Float32' Type conversion. Comparing stuff to null. 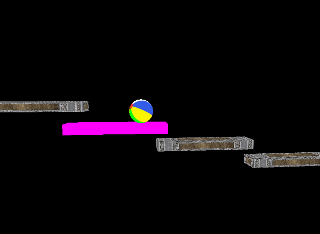 To even get some small demo to work it took me 2 days to correct all those errors. When I started with the next small demo it gave another huge list of errors to correct. * Start Visual Studio so that it goes through the project phase. Failed due to type mismatches. After installation it immediately gave huge lists of type errors. Finally a library that didn't reported an error when using just a 3d View. 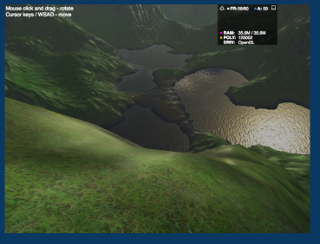 * Modify the blocks.xml and info.txt to reflect the Away3D references. You can now do the run.sh on the system to get a swf file. Create a scene with background properties set to NO COLOR !!!!!!!!! Add Away3D extension using the Settings : Extension tab. Since this code works we now can make more examples and investigate all the Away3D possibilities. Hopefully I can create an actual game with it. Wow, this is really cool!!!!! Interested to see what you make with it. This is incredible. Can't wait to see where this goes. Earlier in the summer I had bookmarked BabylonHX as something to look into, but I decided to write my own renderer for my purposes. It's nice to know this can be done, though... especially if I ever get stuck. I just recently started digging into OpenFL, learning what stages are and how rendering is done at a lower level. I think I see what you're doing now, if my understanding of how Stencyl is built over OpenFL is right. Anyway.. looking forward to what you come up with in the next phase Great work so far! Wow. This is really awesome! If this becomes a success, I will not hesitate to pay for it's further development. Looking forward to this. Great Job. Let's see what Chief has to say about this. I had a look at some tools to create 3D assets. Previously I used examples from Away3D and things I found on the internet. But I want to get a grasp on the tools needed to actually make these assets. * Free to use : I have no problem paying for stuff but I should need that tool daily or really often to make it worth my money. * Somewhat user-friendly. Although I do realise it is a new skill that needs to be learned. If anybody know of a good (free) 3D tool that can export OBJ and MD5(anim/mesh) please let me know!! This gives a taste of what you can do to create scenes. This looks very promising to get into the pipeline. It is free. It is from the same makers as the library so a good integration as far as I can now tell with my tests. 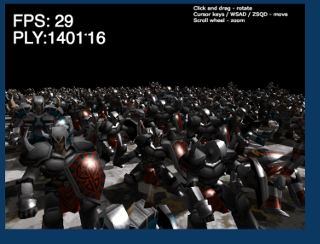 A really nice tool and it can do OBJect animations. Unfortunately this is not automatically interpreted by the Away3D code. But I might give it a shot when exporting single frames to the engine and make an in-engine-animation. Could not get animation to work. What bothers me the most is that it is from Adobe. Now free but probably will be the same as photoshop and other things from Adobe: subscription based. But what the main issue is: Too much emphasis on human animation. Lots of reports that it doesn’t work. Let us see what does and does not work ! So for the next phase I'm looking to create some assets with Blender. I have found a way to get animations to export. It is a very delicate process. I hope to get a better, steady workflow since currently I'm struggling a lot to get my head around 3D tools like Blender. It probably can do amazing stuff and it would likely be the free tool that I want that can do both animation and object generation. As always I like programming more than creating assets/levels so I kind of lack the spirit to really investigate and learn Blender the way I kind of should. But at least I have now a process that allows m.e. to create something myself and use it in the Away3D engine! After a long weekend of investigations, Blender, AwayBuilder I have decided to alter the Away3D engine a bit for future use. 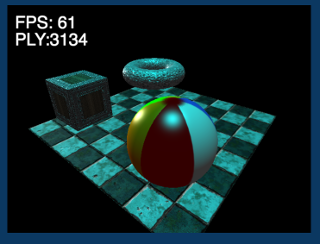 The issue was that loading MD5Mesh and/or OBJ files the materials are either not loaded with the objects or are referenced in such a manner that the Away3D engine would re-map the (color)textures again. For our future extension we need a way to map / bind a color or mapped texture to a (sub)mesh.